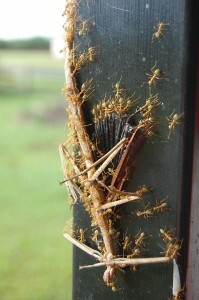 Some green ants manoeuvre a dead stick insect up a verandah post. The latter is about 150mm (six inches) long. 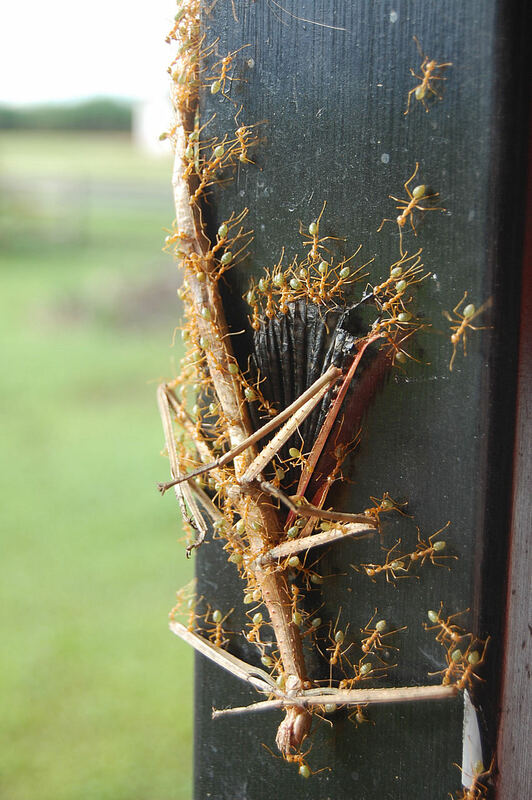 This entry was posted in Lodge, Photography, Wildlife and tagged australia, far north queensland, fnq, green ants, Lodge, silkwood, stick insect, wildlife on 2012-03-24 by pete.